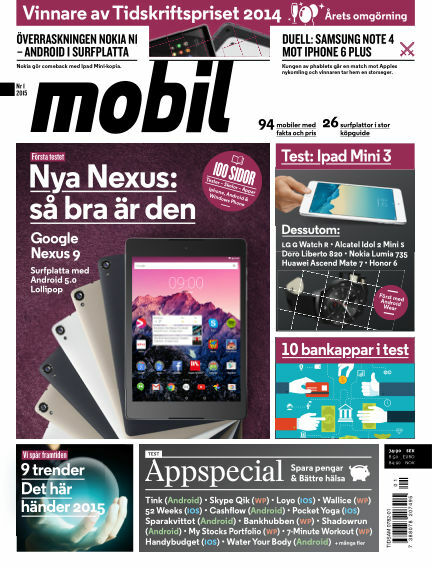 In this issue of Mobil Sverige : Första testet av Google Nexus 9. Duell mellan Samsung Note 4 och Iphone 6 Plus. Ipad Mini 3 testas. Jämförande test av tio bankappar. Vi spår vad som händer under 2015. With Readly you can read Mobil Sverige (issue 2015-01-05) and thousands of other magazines on your tablet and smartphone. Get access to all with just one subscription. New releases and back issues – all included.